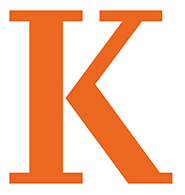 Seventy percent of Kalamazoo College students live on campus and most of our off-campus students reside within four blocks of campus. Residential living is supportive of K students’ academic preparation and plays an integral role in their experiential education, providing rich opportunities for involvement and development. Along with 60 student organizations, this high level of residential living contributes to a lively campus atmosphere. Students live in one of the six residence halls or one of the Living Learning Housing Units. In the first year halls, the focus is on assisting students in their transition to the College and making those important connections. The upper class halls assist students in creating their own communities and continuing those connections. Each residence hall is staffed by Resident Assistants and a Senior Resident Assistant. The student paraprofessional staff members report to two full-time professional staff members who also reside in the residence system. In conjunction with residents from their building, the student staff members work together to build positive, inclusive communities. They also plan a variety of programs for students living in the residence halls. Some of the many programs include movie marathons, guest speakers, craft nights, group discussions, video game tournaments, barbecues and international food parties. Students living on campus eat at the dining hall in the student center.